By John P. Harty, Jr.
For additional information about this book, visit the website cinematicchallenge.com. How did Darryl F. Zanuck make a film about the American Revolution (Drums Along The Mohawk) without indicating that the British were the enemy? Why was Northwest Passage never completed? How did Cecil B. DeMille begin production on a film (Unconquered) based on a book that did not yet exist? In addition, we'll learn how accurate the depictions of colonial life were in each film and whether the political and economic climate affected the finished products. 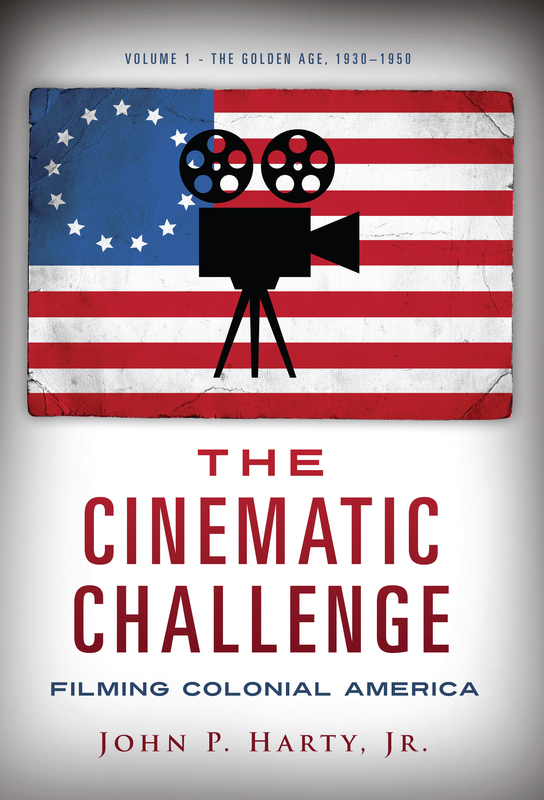 Volume one of The Cinematic Challenge also includes information about the general state of the film industry during this period, technological advancements, and rival theories about historical filmmaking, making it the most in-depth resource available today on colonial movies. To begin, I posed two questions: "How hard was it to make a successful colonial film?" and indirectly the second "Why were so few films made about this remarkable period?" To answer those questions I loooked at thirteen of the most important colonial films made in the twentieth century. This study compared the source (book, play or original story) upon which the film was based to the completed film in order to see how the screenplay was developed. The details of each film's production, release and reception were presented in order to relate it to the broader historical and cultural question of the day. The goal of this study was to discover how each colonial film represented America's social-political history and how the films encapsulated the state of mind of the American people at the time of their release. . Working as a stagehand at NBC for thirty years gave author John P. Harty, Jr. an inside look into the world of television and film and eventually inspired his creation of The Cinematic Challenge. He holds a bachelor’s degree in history from St. Bonaventure University, a master’s degree in political science from Fairleigh Dickinson University, and has studied Russian and English history at the doctoral level at New York University.